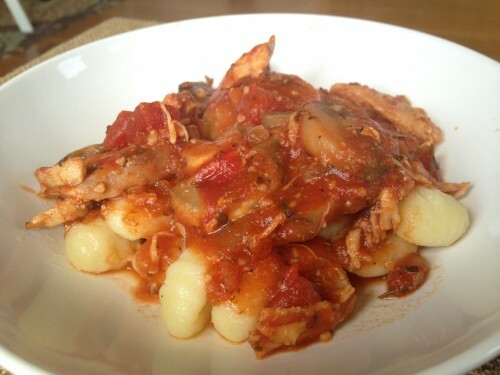 No recipe used, just threw everything in the crockpot (salt/pepper seasoned chicken, onion, mushroom, garlic, rosemary, basil, oregano, brown sugar, tomato sauce) and made the store-bought gnocchi separately before serving. This entry was posted on September 2, 2014. It was filed under Cooking.